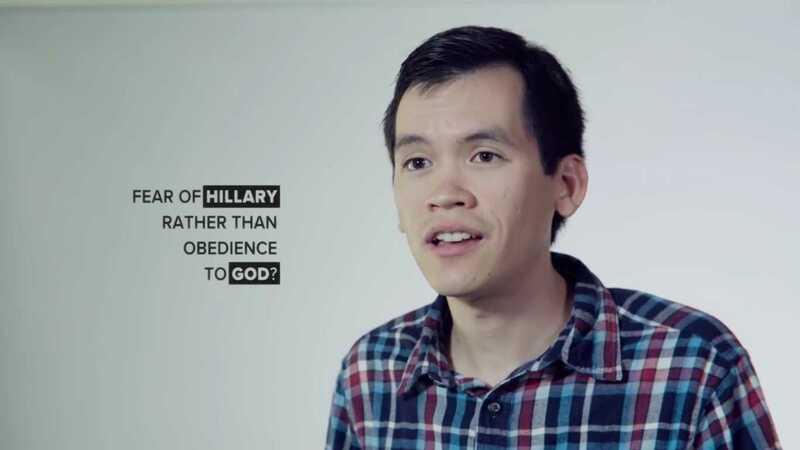 A viral video that has obtained nearly 400,000 views since Monday urges Christians not to make their voting decisions out of a fear of Hillary Clinton, but in obedience to God and His Word. He then turns the tables and presents a different mindset for voters to consider. “Is it possible that as Christians God has a higher calling on our lives than voting for either of two candidates who are so completely hostile to His commands—that God desires the trust of His people more than their strategies, that He desires our personal obedience more than He desires us to speculate about whoever the next Supreme Court justice will be?” Hastings asks. Hastings advises Christians, however, not to simply sit out the election because of their rejection of both candidates. He says that voting for other candidates on the ballot beside Clinton and Trump sends a message to the nation that Christians will not bow to ungodliness any longer. “[W]e as Christians can send a message to America that enough is enough and that we will no longer accept candidates that are unacceptable,” Hastings states. He points Christians to FaithTrumpsFear.com to consider the other options in their state. As previously reported, a recent study by Barna found that more than four out of ten evangelicals currently reject both Trump and Clinton. “Although Trump has a huge lead over Clinton among evangelicals, the most noteworthy finding in this regard is that more than four out of ten evangelicals currently refuse to vote for either of those two candidates,” analyst George Barna said in an Oct. 10 post, outlining the results.